This year, more than 151 million people in the United States shopped either in stores and/or online over the weekend following Thanksgiving, according to a National Retail Federation (NRF) survey of more than 4,000 shoppers. I know that I’m not the only one who noticed that the deep discounts, door-busters, and online flash sales started earlier than ever this year. And while I love a good deal, I was curious about what this meant for the institution of Cyber Week—from Thanksgiving to Black Friday, to Small Business Saturday, Cyber Monday, and Giving Tuesday. Maybe you didn’t see the popular and raunchy board game Cards Against Humanity’s Black Friday deal. It was $ 5 for nothing. You’re thinking, “That’s a joke, right?” Nope. And the punch line is that they had over 11,000 customers participate and earned more than $ 70,000. While the ‘promotion’ came as a rally cry against a consumer-centric day, it did show us that even in jest, customers are paying attention, engaging, and spending money during this time period. In another example from REI, a thoughtful non-participation campaign became a trend of its own. REI’s “Opt Outside” closed stores on Black Friday and paid its employees to go outside. This holiday campaign echoed REI’s cooperative corporate culture and mission statement of building “a lifetime of outdoor adventure and stewardship.” This campaign generated tons of PR, trended on Twitter, and achieved accolades from loyal customers and non-fans alike. So while Black Friday sales probably weren’t as high as usual (the REI.com site was not closed), there was definitely a bump in brand-awareness and goodwill. Then, there is the more traditional approach, which often means opening your retail and online stores with special discounts and offers. 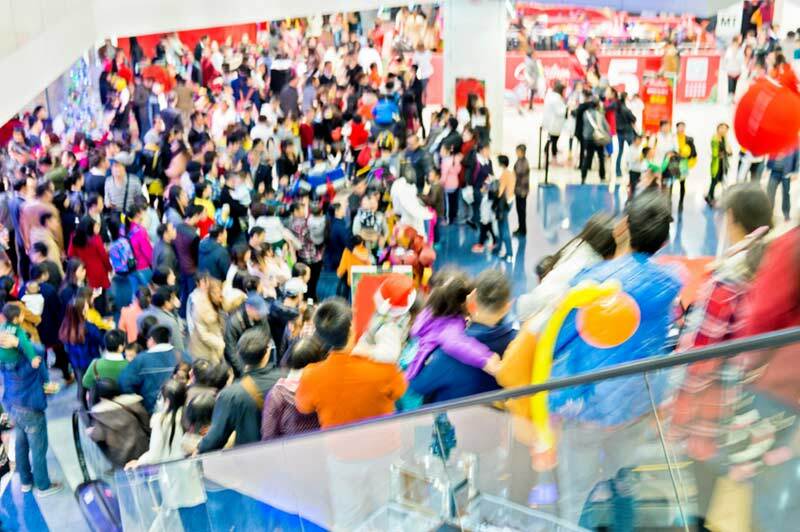 According to RetailingToday and The National Retail Federation, Black Friday was an exceptionally popular day this year for both in-store and online shopping, with 73% of people who shopped in store over the weekend shopping on Black Friday and 73.1% of people who shopped online on Black Friday versus Thanksgiving or the following Saturday. Next year, don’t miss out on the millions of shoppers who are paying attention, engaging, and spending—plan a cyber week campaign into your marketing plan that matches your brand and maps to your goals, and use data to drive which days you offer the best deals. Have you ever opened an email, loved something in it, and couldn’t find it once you opened the link in a browser? That’s disappointing, right? With the rise of the mobile shopper, user interface (UI) and online experience matter more than ever. From having your email open and recognize whether the recipient already has your mobile app installed, to asking them if they want to open it or just immediately taking them to a mobile browser without checking, these little details make a huge difference in the experience for customers, which in turn translate to actual sales. In fact, according to a study by Hubshout—an SEO reseller and reporting dashboard—nearly 72% of respondents said they would leave a website if it was slow to load, and about two-thirds (67%) said that difficulty or frustration with the website’s navigation would also force them to swipe right and head back to their search results. The lesson learned? Make everything as easy to use as possible, and do it in advance of big shopping days so you have time to test (internally and with customers) and tweak it. Today’s consumers, including myself, have short attention spans and flit from channel to channel. We’re on Facebook one moment, checking email the next, and online shopping the next—only to abandon all of these at a moment’s notice and then maybe come back later. I don’t know about you, but I got a TON of direct mail ads, emails (ranging from fun, to sassy, to direct), and targeted digital ads in the lead up to and during Cyber Week. And you know what? They worked. This coordinated approach helped channel my attention to items and deals that I was interested in and ultimately helped drive me back to complete my purchases. The importance of being everywhere your customer is has become a tried and true marketing mantra, but I would argue that this is especially critical when the volume of messages is at a high. Because Cyber Week drives so much volume and so many different businesses participate, it’s even harder to cut through the noise, which is when having a sound cross-channel strategy (including online and offline channels) for your promotion is critical. Webrooming—the digital equivalent of showrooming (going to a store to look at a physical product and then buying online)—via online, app, or website is a little piece of buyer self-education that you don’t want to miss out on. According to the survey, 56.7% of smartphone owners used their phone to research products, purchase holiday items, check in-store availability and other mobile shopping activities while 57.7% of tablet owners used their device to browse holiday deals and purchase items. It’s Cyber Week, you know the volume of customers in store and online is going to get crazy but despite knowing this, even seasoned retail giants like Target, Walmart, and Neiman Marcus ran into some technical difficulties. While they likely had plans in place to mitigate situations like the site going down—nothing kills the customer experience like trying to reach your website only to be turned away. Make sure that you have a detailed strategy and plan in place to recapture your customer’s attention in the case of a technology disaster! Part of responding well is empathizing with your customer’s experience and recognizing that you’ve let them down. Some things to think about: Experiment with your error pages. Can you send triggered emails? Can you remove a barrier for them to revisit you and complete their purchase? Maybe that’s a special offer? A discount? Free shipping? Make sure you have your plan in place way in advance of the hordes of eager shoppers that will visit your site. While Cyber Week is just one week out of the year, there are endless ways to participate and it’s important to document your lessons and ideas now, while they are fresh, and put your plan on the books for 2016. These lessons can apply to any large holiday promotion that’s relevant for your industry—what other observations can you add to this list? I’d love to learn about them in the comments section below. Interested in more on holiday marketing? Check out our ebook, 8 Steps To Creating An Effective Holiday Marketing Campaign. The post 4 Cyber Week Observations That Will Make You A Better Marketer appeared first on Marketo Marketing Blog – Best Practices and Thought Leadership.